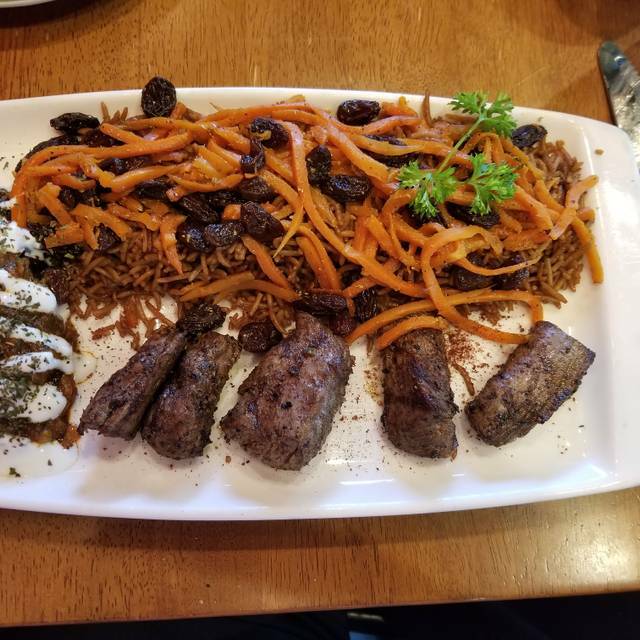 Bistro Aracosia is an authentic Afghan gourmet and chop house located in the Palisades neighborhood of Washington, DC. We went to dinner to celebrate a birthday. I write that on the reservation. The host wished my guest happy birthday when we arrived and when we left. However, our server did not. There was no birthday candle on our dessert, we both ordered desert. I mention this b/c the personal touch we once enjoyed from Bistro Aracosia is definitely gone. The place is busy. There’s someone to serve water, someone else to take your order, someone else to serve, another person to take away plates. It’s very impersonal. I found this shocking b/c this was a signature quality of the restaurant in the past, which is why we chose it for a special occasion. Also, the new decor is cheap looking and dark. It looks like photos of reproduced paintings were blown up and framed. The rumi quotes are no longer painted in the walls, which was an anchor to set the tone for the entire experience at Bistro A. Instead there are framed pictures, some w/quotes that are illegible. The plastic black table clothes are dark, ugly and lack the classy finished look I once enjoyed. The saving grace is the food. It’s outstanding! We enjoyed every bite. If you don’t want the thread of personal attention, special touch and VIP treatment coupled w/great food that was B.A. signature best and simply want great food in a hectic mediocre atmosphere B.A will deliver. The other possibility, book an early reservation time, perhaps it won’t be as busy and there will be time for the finer things AND great food. Great food, foeign (to me, anyway) dishes that were well prepared and photogenic. The dunpling dough tasted fresh. Portions were a decent size without going overboard. The chocolate moose cake was to do for. My only concern: the tables were very close together, which added to the ambient noise. My new favorite restaurant. Great food, service and ambiance. And quiet. This is my favorite restaurant in DC! Highly recommended for a special occasion. An extensive and varied menu, good wine choices, and beautiful service. Thanks! Nice overall ambience, very accommodating service and food was good but not four-star excellent. I do really like Bistro Aracosia but this night definitely felt a little rushed-turning tables. Food came out very quickly and very good but we weren’t in a rush- in and out in an hour! We ordered dessert to share and it was on the table in less than 5 minutes. Bill followed right away. Will still go back but will definitely let them know we aren’t in a rush. What a revelation! The food is superb and the service excellent. The tables are spaced for quietness and privacy, or more so than most other places. The grilled meats are excellent. If you like spicy food, there are delicious items on the menu. If you don't, ask your waiter to guide you to the right choices. We will dine here again! Even if the food wasn’t as awesome as it is, I would still keep coming back for the consistent, kind service. Great place but make a reservation! Very good service and excellent food. Nice warm atmosphere. Absolutely fantastic. The menu is extensive and our server expertly guided us to some amazing choices. We started with the mixed mazza platter to sample a selection of dumplings before moving to our entrees. My wife had the goat and I had the lamb and beef tenderloin. Both selections were delicious. We split the cardamom cake for dessert. All in all, 10/10 will dine here again. The food is AMAZING! .. the variety of turnover and dumpling appetizers are out of this world .. so incredible. As well the owner truly cares about your experience and walks around to offer input.. Our waiter was somewhat new and suggested menu items and he was 100% right. We really loved everything we ordered... chicken and veal dishes were delicious... we will back for sure! We will definitely go back - the food was amazing!!! We absolutely loved our evening...the food was amazing..every single dish. This is the second time I've been there and it has been wonderful each time. I've recommended it to many friends and they've loved it. Attentive service and delicious food. I'm already planning a return visit. He food is consistent...always great!!! I was there with a friend for my birthday. 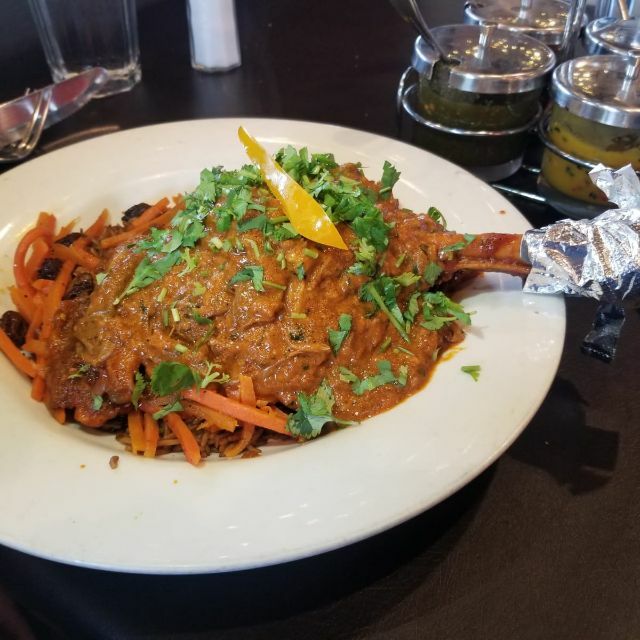 Our waiter was very helpful with suggestions, like the Maza appetizer and lamb shank, which was delicious! He then surprised us with champagne, birthday cake, and a card! Very memorable and sweet! Back for the fourth or fifth time, introducing friends to the Bistro. Wonderful food, helpful service, we will be back again. Have had far better experiences at Aracosia in the past. Food was excellent. But the tables are small, and the dining space was cramped. Probably the best Afghan restaurant in the area. I've tried the two chicken shish kabobs, and the thigh meat kabob is better. Parking can be difficult, but there is usually a space in the neighborhoods a block or so away. Except for the fact that it is very noisy, I would give Bistro Aracosia an A+. The noise reduces it to just an A. We won't hesitate to return for another enjoyable meal. 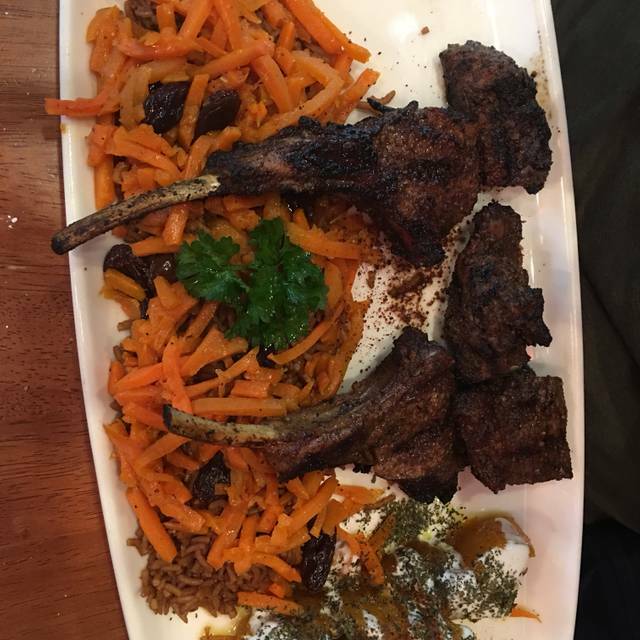 This is not your standard "ethnic" (Afghan) restaurant. 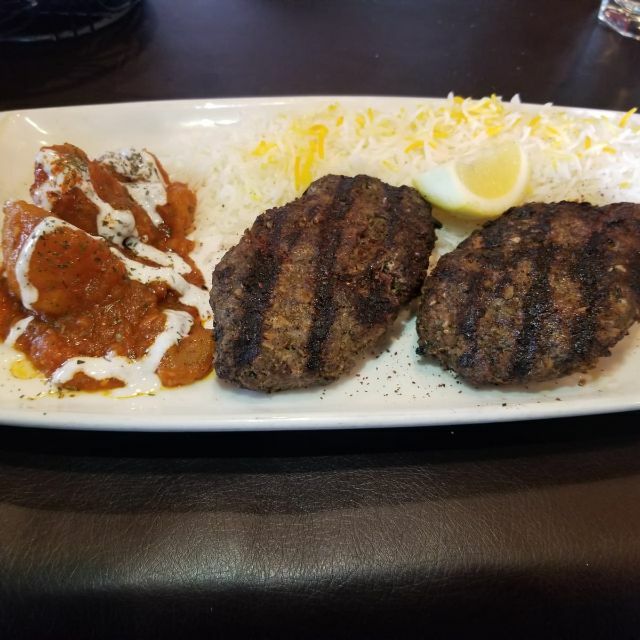 Chef takes interesting parts of Afghan and the surrounding regions' cuisines to create fresh tasting and fresh, nuanced interpretations of foods we thought we knew well. An amazing meal served by the most amazing staff. This restaurant is unparalleled in the DC area. Truly a wonderful experience. We had a lovely evening at Aracosia last weekend. Our waiter helped us with our selections and everything was excellent! There were plenty of vegetarian options for me, which isn't always the case. We will be back and will bring family and friends. Be sure to make a reservation in advance. Fabulous lunch on a Saturday. I would absolutely recommend Bistro Aracosia. It was a little on the pricey end with most plates being somewhere between $20-$35, but for a special occasion, I couldn't have asked for better. The food and service were outstanding, I'll be dreaming about those lamp chops for days. Very generous portions as well, both my husband and I got a second meal out of it. 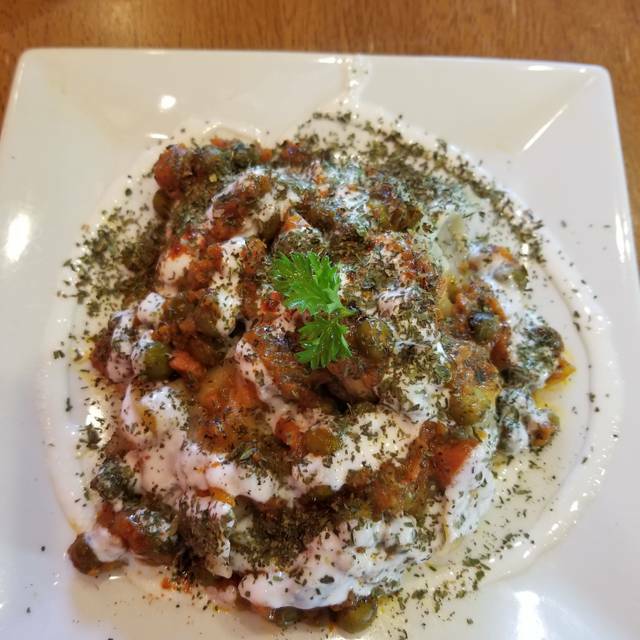 We're regulars at their Springfield location, Afghan Bistro, and it's among our favorite restaurants. Last year we started the tradition of celebrating birthdays at the DC location. 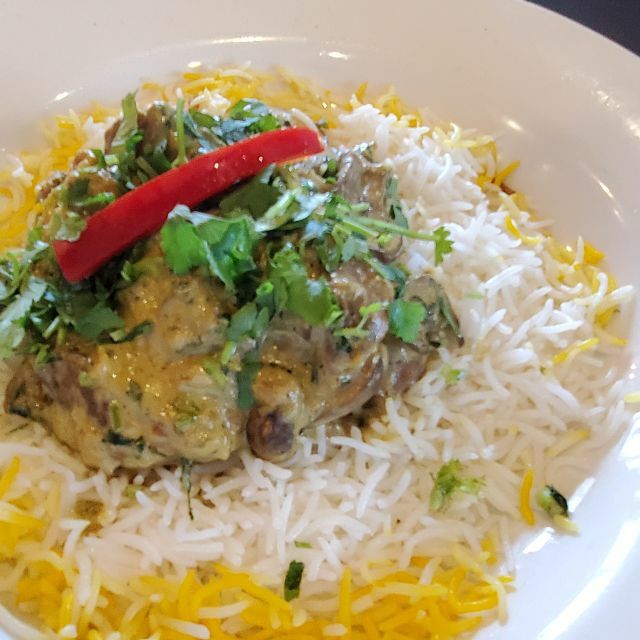 The food is always wonderful, the seasoning is on point and hits all the right notes, food is wonderfully prepared, and the service is outstanding. They're always very accommodating--although they were busy, they changed our reservation on the fly when we were stuck in traffic and were going to be late. Cannot say enough good about the food, the customer service, and the experience in general. Cozy, delicious, and attentive service for a family celebration. Never disappoints! First time visit to Bristro Aracosia and I was definitely impressed. I came for lunch with a friend on a week day, there were several other guests dining but a pleasant atmosphere for talking. The staff and owner are very welcoming and gracious. They went above and beyond to be accommodating and ensure we were enjoying ourselves. The food was fresh, delicious and exceeded my expectations. I did not dine with my children but I was encouraged to dine with them again for dinner and bring them back. They even showed me their children's menu that looked amazing and did not include your typical fried foods that most restaurants feed kids. I will definitely be coming back!! Welcoming host, warm atmosphere and great food made for a terrific evening. The menu is extensive with many choices for vegetarians. You cannot go wrong with anything you order. All dishes are exquisitely seasoned and excellent. Another superb meal with the usual warm welcome and excellent service. Without a doubt, this one of the very best restaurants in DC. We can’t wait to go back. We were there for an early lunch. the food was delicious and the service attentive. 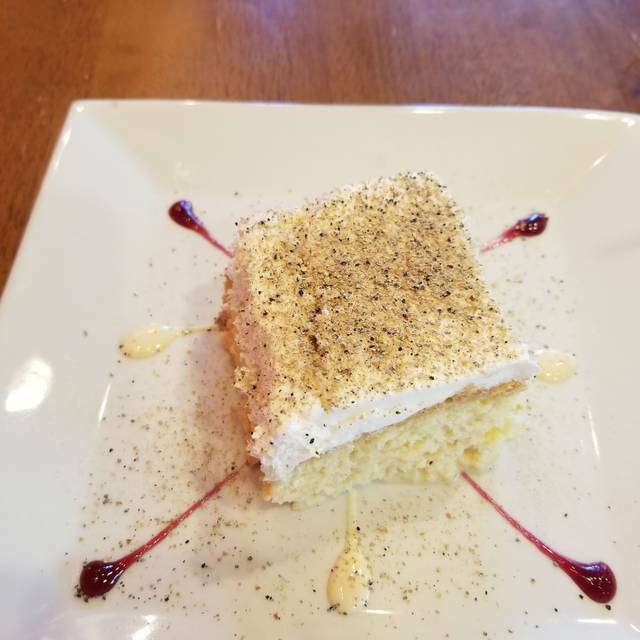 My husband and I were visiting DC and heard about Bistro Aracosia from a friend. We visited on a Thursday evening and were immediately impressed with the warmth of the service. The bread with 4 dips is amazing, each of the dips were unique and flavorful, ranging from mild to quite spicy. Our appetizer - the Hot Massa Assortment was fabulous - four servings of different dumplings and vegetables, impossible to say which we liked the most! We also ordered the Sambosa which was also divine. 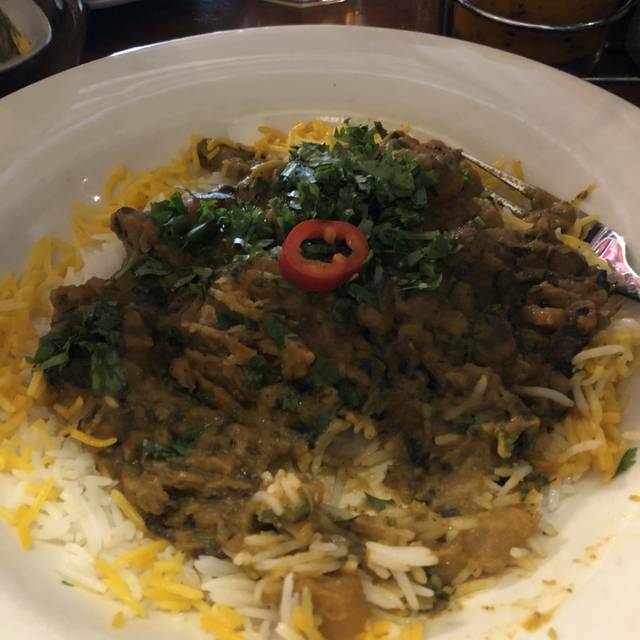 My husband had the Lamb Chop Duo and I had the Veal Karahi, both exceeded our expectations, although we had to take half home because we'd ordered too much. But they were wonderful the next day for lunch. I can't say enough about Josef our server, he is the penultimate professional, so warm and gracious. We left our wine choices up to him and he nailed it. . I won't visit DC again without dining at Bistro Aracosia. 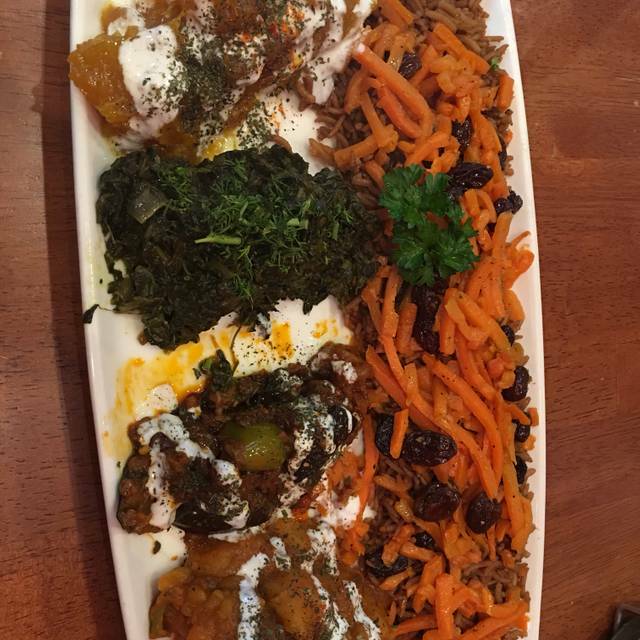 The food was wonderful and so fresh and would definitely go back again and recommend it to my friends.